We sometimes use real forms from nature, and one of our favourites is ‘Twisted’. 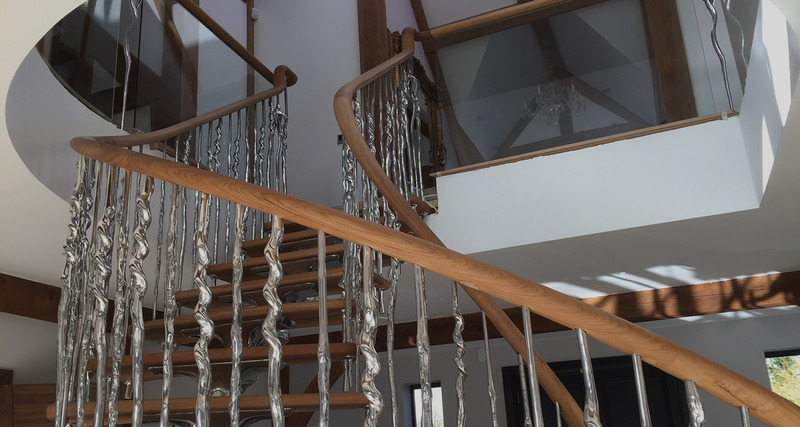 Cast from real carefully selected twisted hazel branches, we have adapted them to work as balustrades. With 5 different twisted shapes the effect is like a random organic vine creeping up your staircase. On the first floor of this project we used curved glass separated with ‘Tulip’. This is a lovely way to use our spindles, to soften the otherwise harsh and commercial feel of glass and to add real individuality and a bit of quirk. This sculptural ‘Twisted’ balustrading is used here on one of our signature sculptural ‘Spine’ staircases. Click here for more on our ‘Spine’ staircase.